Every one of us knows about Himalayan Salt Lamps due to its health benefits and hygroscopic nature. Himalayan Salt has been used in medicines, food and different products since ages. But do you know they are used as a home or office décor as well? Well, even if you do not know still, you must be influenced by their orangish glow from a pink chunk of salt crystal. When light illuminates the lamp or crystal it looks even more beautiful than an ordinary side piece. If you love Himalayan Natural Salt Lamps and is unaware of its decorative properties then don’t worry. We will give you a bird’s eye view of all the décor ideas you can do at your house with the natural salt lamps. So peep inside! Who loves cozy rooms? We all do. Himalayan salt lamps placed in your living room will give it a nice, glowy cozy effect. The dim orangish light is very soothing for the eyes. Place the natural salt lamps on your wooden flooring no matter the living room is small or big. Add white curtains to pop out the orange glow. It will make the whole room look more spacious and airy. The positive vibes will get double by this placing and it will leave everybody speechless due to its beauty. Do not go for the harsh lights while reading books. They are not good for the eyes. Also, it will make you irritated. If you are a book lover and want to enjoy some peaceful reading then enjoy it with a cup of tea, your favorite book and a corner having Himalayan Natural Salt Lamp. Trust me the dim glow and silent background will take you to another world. So, keep a Himalayan lamp at the corner of the reading area and enjoy! The rooms filled with daylight do not need any kind of tube lights or bulbs. But have you tried putting Himalayan Natural Salt Lamp in that illuminated room? If not try it! The whole aura will be so mesmerizing and exotic. The glow of the lamp will look beautiful under sunlight. So, light up your rooms with the Himalayan salt lamps in daylight also. Antique architecture is the demand of modern ages. Every person desires of an antique styled room but only some of them know how to décor it. We have all the ideas to solve your worries! Now you can décor your antique room by just keeping some antique pieces of Buddha or any sculpture with the Himalayan Natural Salt Lamp. The final output will be beyond words. 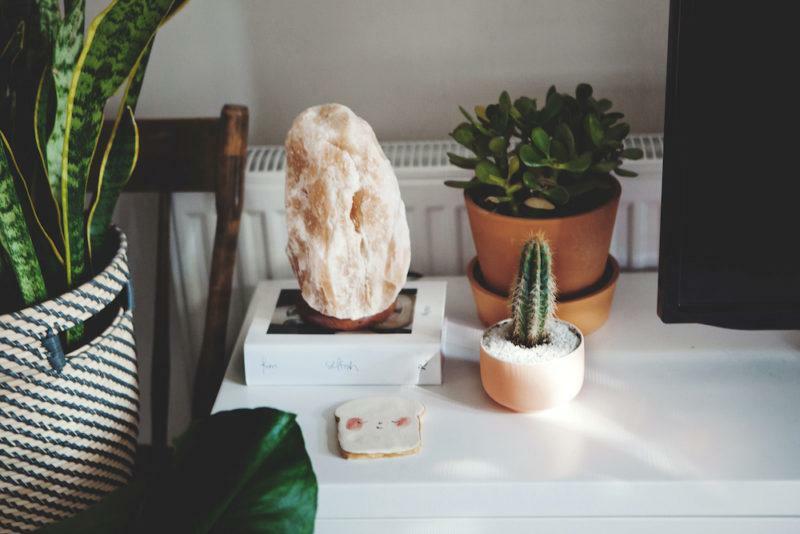 Did you know that these Natural salt lamps can be used for complementing the greenery in your house? Yes, it is true you can keep this crystal lamp in your plants and the whole package will come out to be extraordinary. Himalayan Salt Lamps are the best in terms of health, medication and even decoration. We can definitely say that Himalayan Salt Lamps are all-rounders.